A really enjoyable and quick knit....although, I have to admit to spending a long time trying to figure out what to do....but ravelry's read the useful projects search came in to its own.....once started I didn't stop and I think is was around three evenings to do. I knitted it in Sirdar Baby Bamboo which is a DK weight with a lovely sheen, which helped when you dropped the stitches to run down.....what a weird experience! 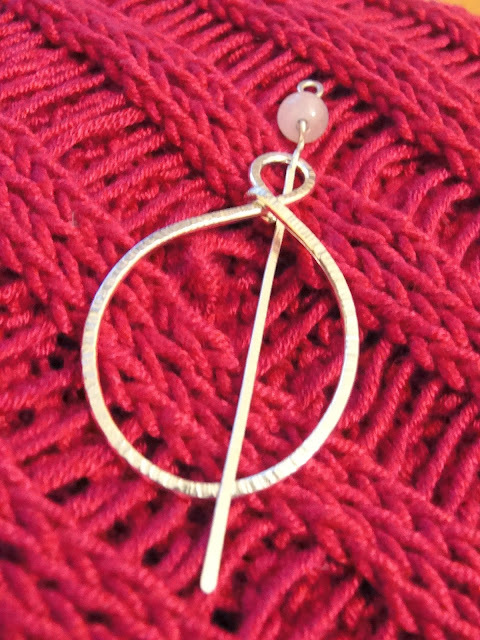 I spent some time trawling about for a shawl pin for myself and one to package with the clapo-ktus, and then had a 'bing moment' when I emailed the local jewelry shop Be-gemmed, who hadn't got any, but said to leave them to it. I am so pleased I can't tell you.....if you are in need of something special, consider dropping Phil and Helen an email or phone call....handmade, therefore with its own unique beauty, and supporting real craftspeople in a trade which can be forgotten in a factory mass-produced age. 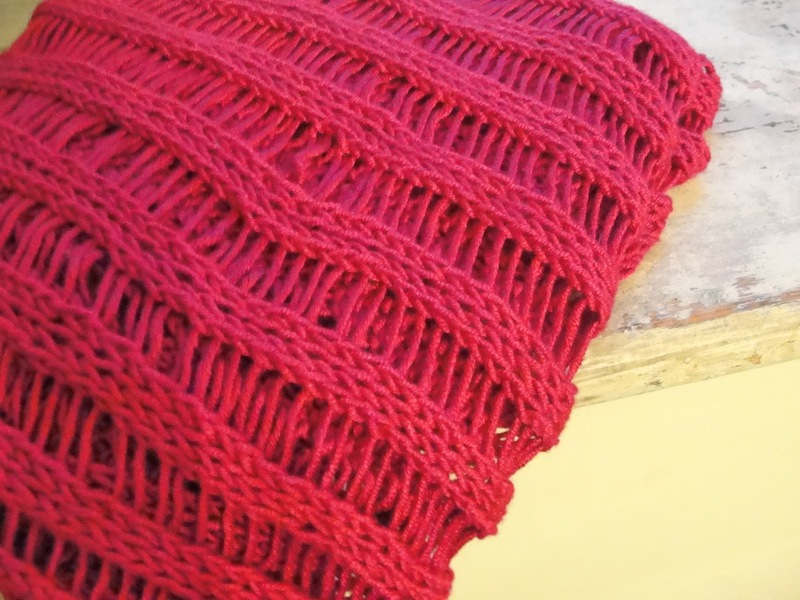 To see other people's YOP work, check out the ravelry page here. Those shawl pins are stunning and clapo-ktus is lovely - love the colour. She will LOVE it. Beautiful! Faith, it is gorgeous. When I made my first one I had a dreadful time trying to figure it all out. I had to read every single Ravelry note and then simply decided to make my own border when the decreasing started. It made more sense to me and made it more symmetrical. I have made three total and simply love the pattern. I have taught two of my friend how to make it and they are in love with it too. Well done my friend, you did a great job. 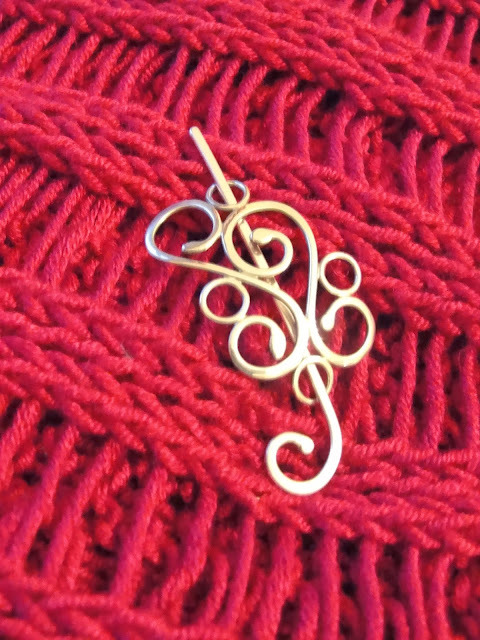 Both the shawl and the shawl pins are gorgeous. Your yarn choice sounds perfect for South Africa. Also perfect for the pattern because the slipperiness of bamboo probably made it easier to drop the stitches. I made a Clapotis from raw silk and dropping the stitches was nearly impossible! Lovely project! You made a lovely shawl, and I love the pins you chose to complement it. Great job! Your boys must be so excited for Xmas! Love the colour and who wouldn't be thrilled to receive this beautiful gift. 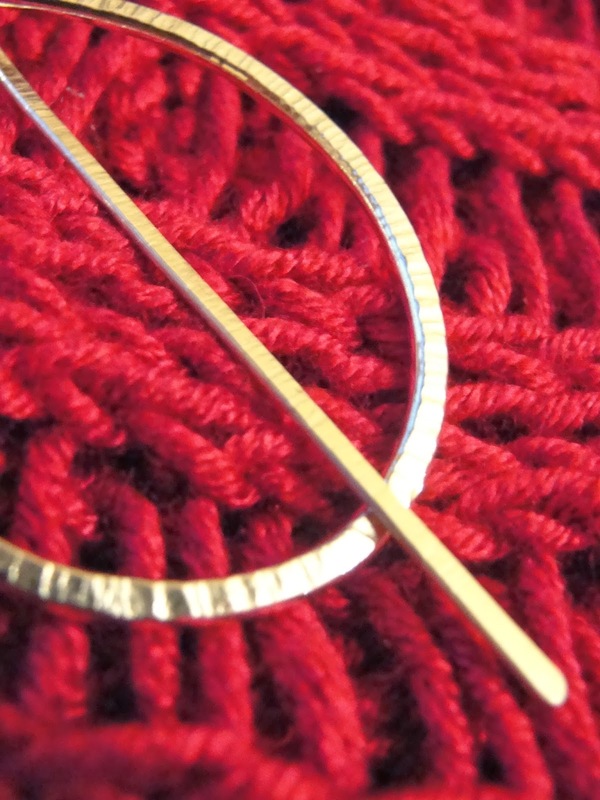 The shawl pins are both beautiful in their individuality, love the look of hammered silver. Merry Christmas to you and your family Faith...I hope you have the most wonderful magical time with your boys! Wishing you and yours Faith a magical Christmas time...Merry Merry Christmas! I missed this post. 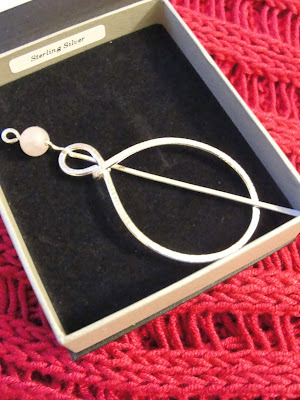 Those shawl pins are wonderful!